The crash saved her life. A woman in Chengdu, China was recently kidnapped and thrown into the back of an Audi. Fortunately, a tailgating driver accidentally crashed into the car, popping the boot open. A video on btime.com revealed that three cars were involved in the collision and the woman was found trying to break free on the ground while she was surrounded by traffic. 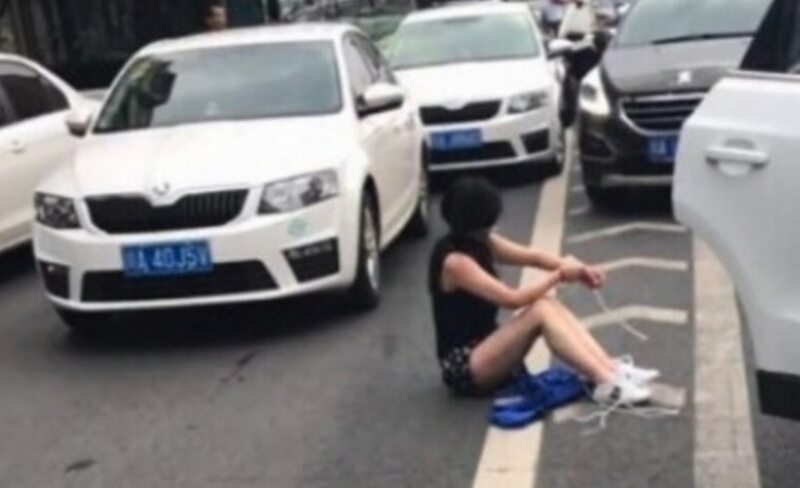 Witnesses described how the tied-up woman fell out of the boot after the crash, according to Beijing Youth Daily. One witness said that her wrists were tied and her mouth was covered with tape. South China Morning Post reported that the suspect was caught and confessed after being interrogated. However, further investigations are ongoing, according to a Weibo post. Netizens who claimed to have witnessed the event shared their comments on the video. One said: "This isn't even in the movies! Luckily there was a tailgate otherwise no one would have known what was happening to this girl!" Another comment said, "The kidnapper saw the car crash and ran, before realising he hadn't taken his stuff and returned to the car." Other social media comments alleged that the woman worked at Sichuan hospital and had been bundled into the car by the man as she was leaving work. He was appointed as the chairman in 2013. That's a lot of money to keep in the house(s). It isn't from Marie Claire.